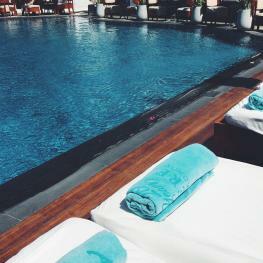 Welcome to the Belvedere, a treasured member of The Leading Hotels of the World. 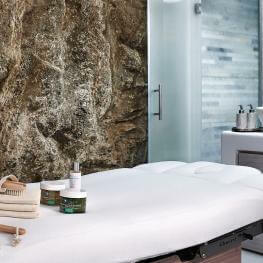 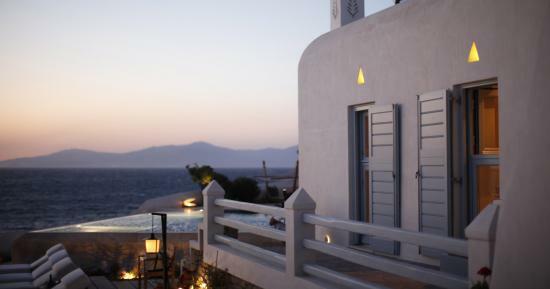 Our story is one of change and preservation, tranquility and recreation, where luxury is built to last. 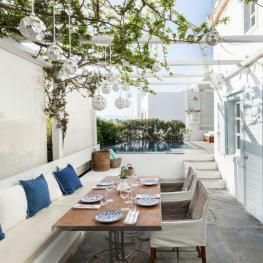 The Belvedere is a petite Grand Hotel rooted in the tradition of age-old splendour. 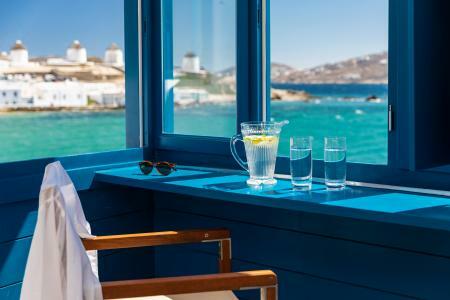 Elegantly shifting through the decades, it has carried the essence of old Mykonos into the modern age, transforming nostalgia into a genuinely social hospitality experience. 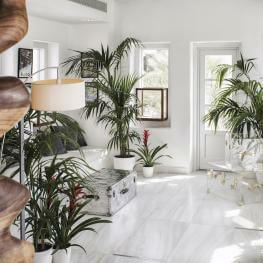 Framed by a verdant garden, the Belvedere Hotel is a universe of transformation: 35 luxury rooms, 9 suites and 1 Mansion unlock endless possibilities, played out against the turquoise backdrop of a mesmerising pool. 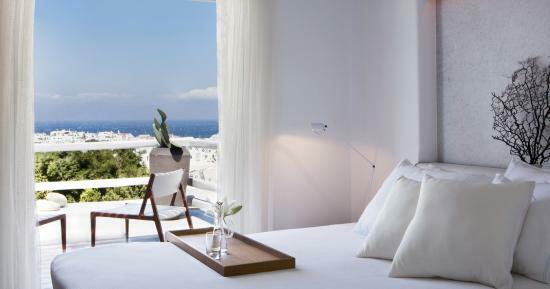 Belvedere enhances your Myconian experience with 3 more accommodation options, 2 Pied a Terre apartments at Little Venice, a luxurious Villa next door and 26 Hilltop rooms and suites only 250m away from the main complex. 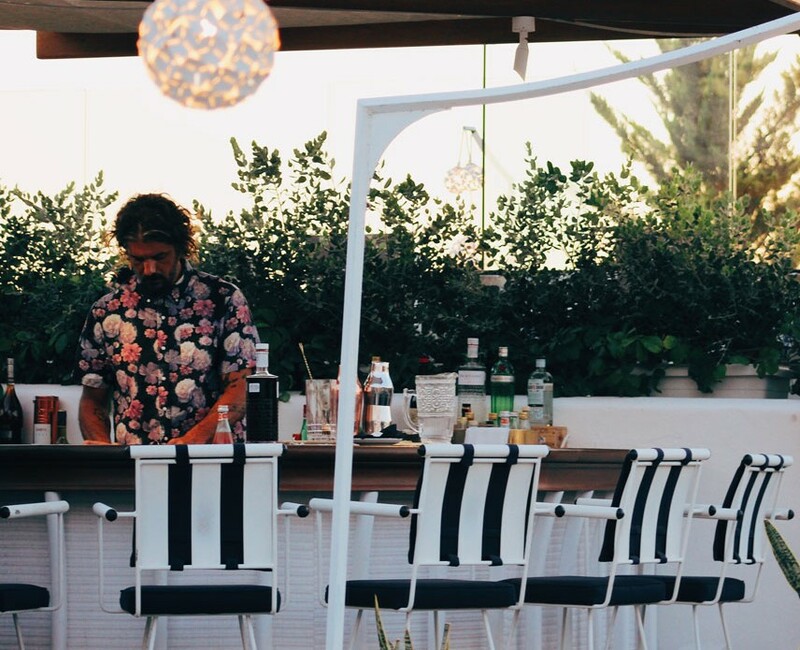 At the Belvedere, we set the stage for cherished memories, featuring a colourful cast of characters that pledge allegiance to Mykonos every summer. 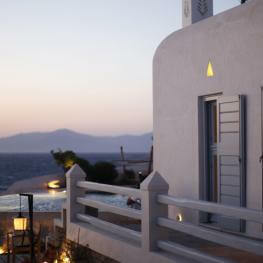 Choose your recreation destination and be the star of your own adventure. 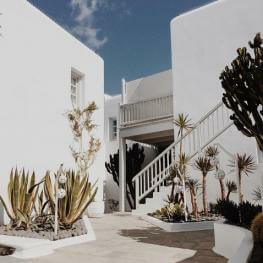 Designed on the principle of a Cycladic neighbourhood, the Belvedere Hotel is a sun-bleached labyrinth of hanging balconies, stone-paved paths and wellness hideaways that inspire a deep sense of relaxation. 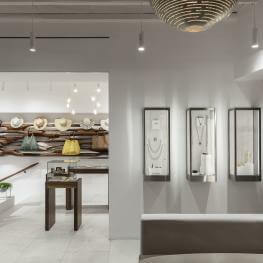 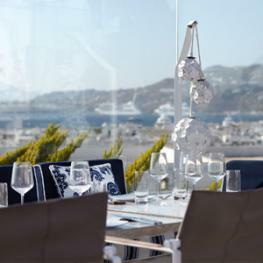 True to the boundless energy of the island and the heightened aesthetics of the hotel, the Belvedere offers two adventurous luxury shopping options that smell like summer. 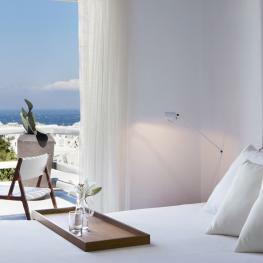 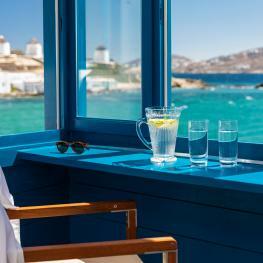 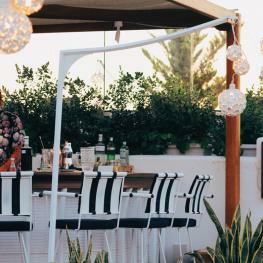 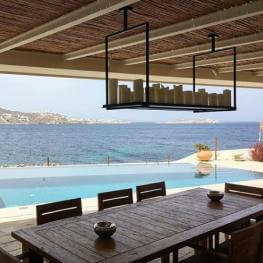 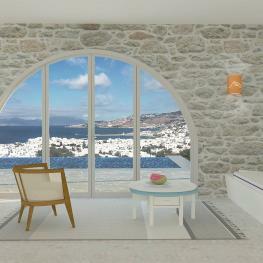 The Belvedere Hotel is located on the edge of Mykonos Town, near Rohari Hill, opposite the School of Fine Arts. 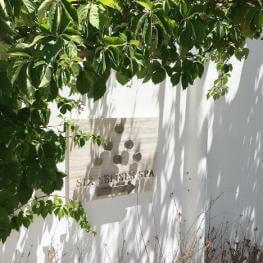 Join for another exciting year in Matsuhisa Mykonos. 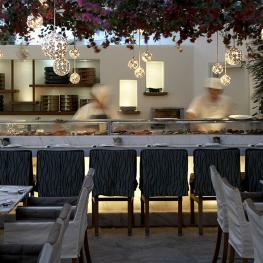 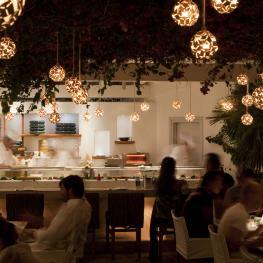 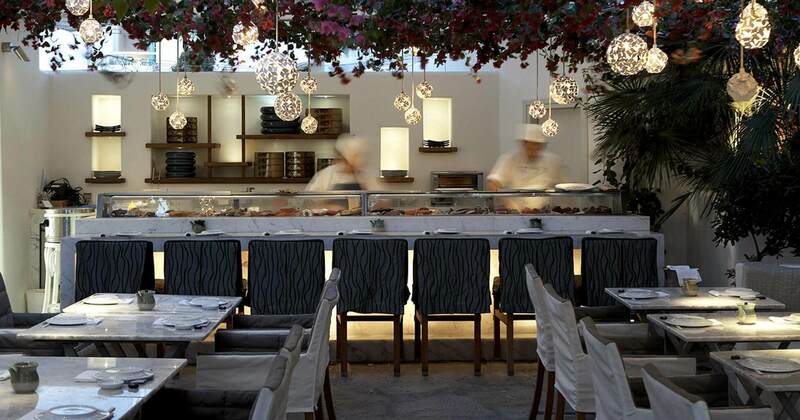 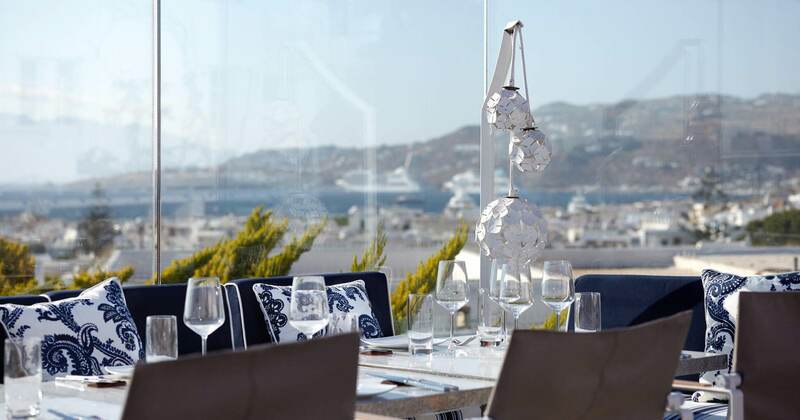 Discover Nobu Matsuhisa signature dishes and special recipes inspired from Mykonos island. 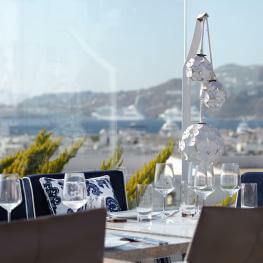 Join our awarded Greek fine dining restaurant. 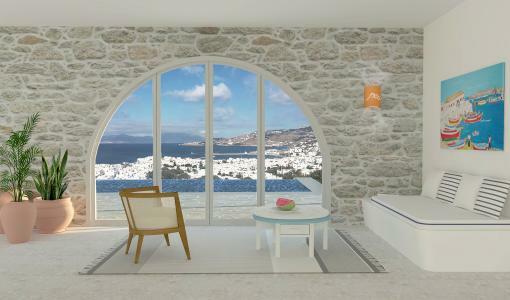 Discover Greek flavors while overlooking Mykonos town and the Aegean sea. 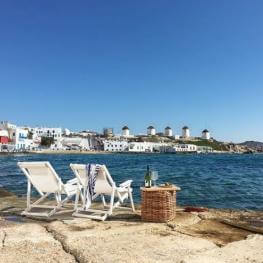 Become part of the Mykonos legend! 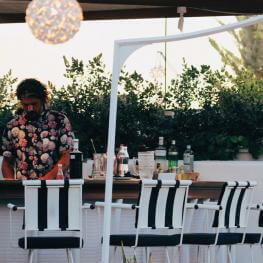 Share your Belvedere moments.